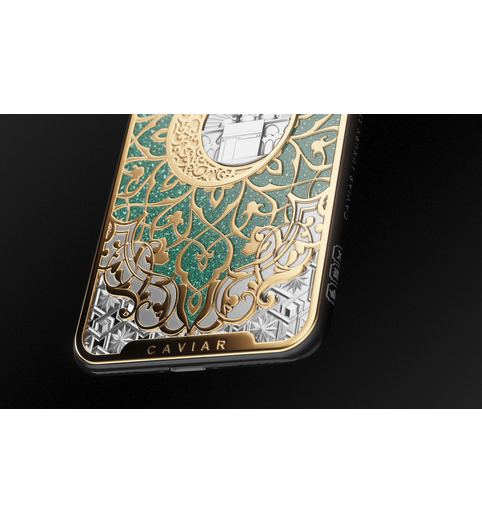 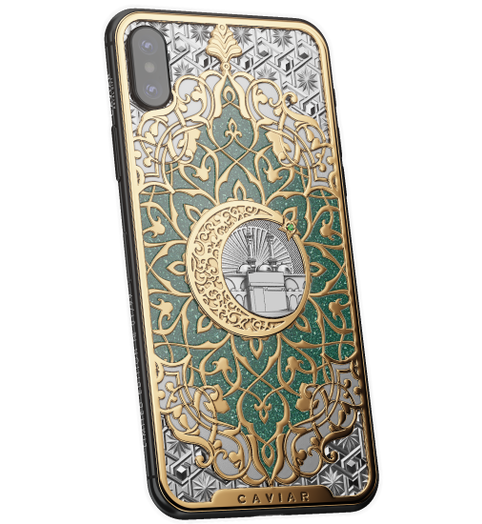 Caviar iPhone X Mecca Mosque "When working on the smartphone design dedicated to the Al-Haram Mosque, the designers of Caviar have been putting all their efforts, knowledge, experience and skills to create the look of a smartphone worthy of the greatest sanctuary of Islam. 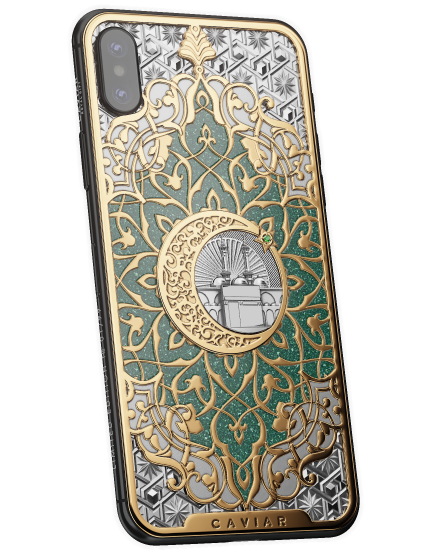 The body of iPhone X is decorated with a spectacular panel that is composed of the composite malachite of a rich green color – the traditional symbol of life in the Islamic culture, and amazing, picturesquely bound patterns covered with white and yellow gold. 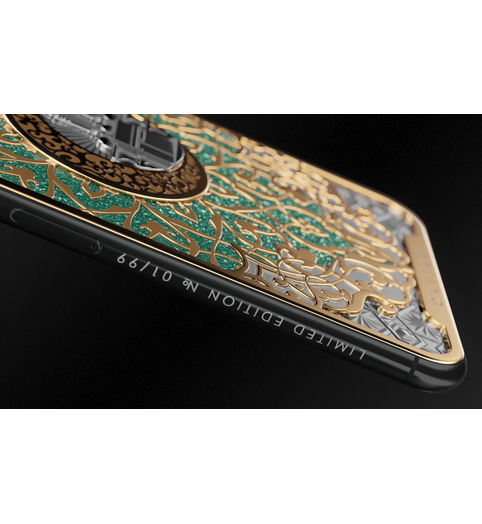 The central place on the body is taken by the fine miniature replicating the ensemble of the Al-Haram Mosque and the holy Kaaba. 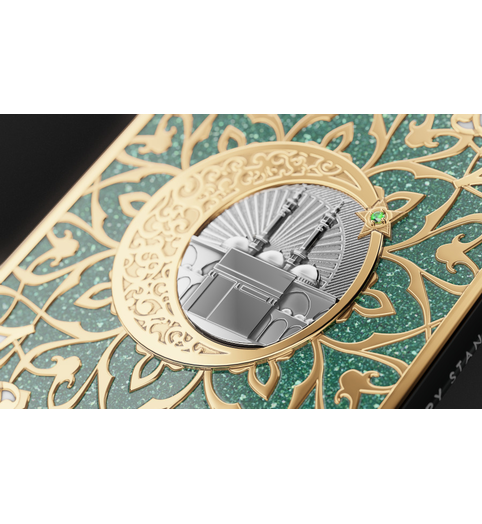 The designers have put the mosque’s architecture into a circle decorated with a gold half-moon and an emerald star. 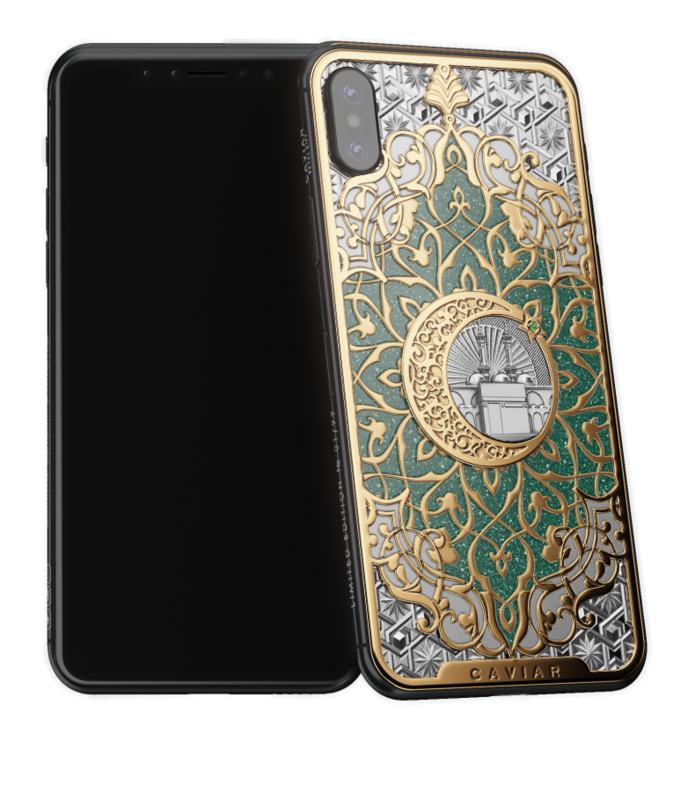 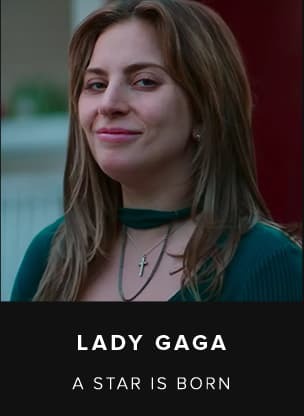 This design is a real treasure, an impressive example of how the modern technologies are being connected with eternal, inviolable values. " 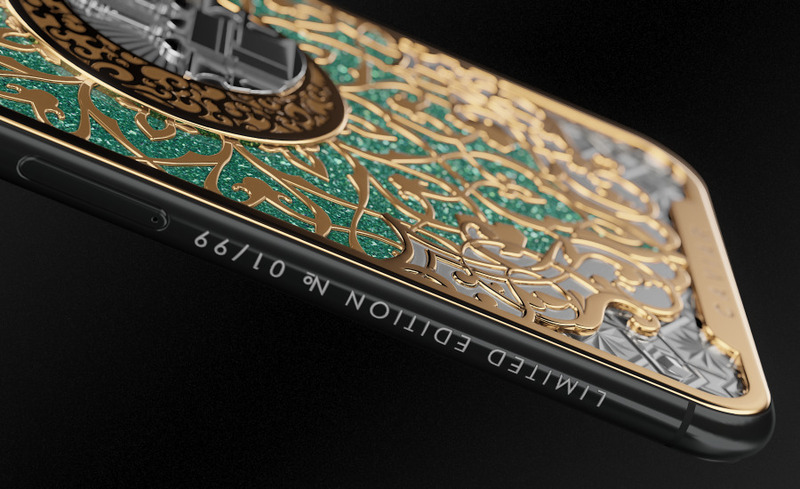 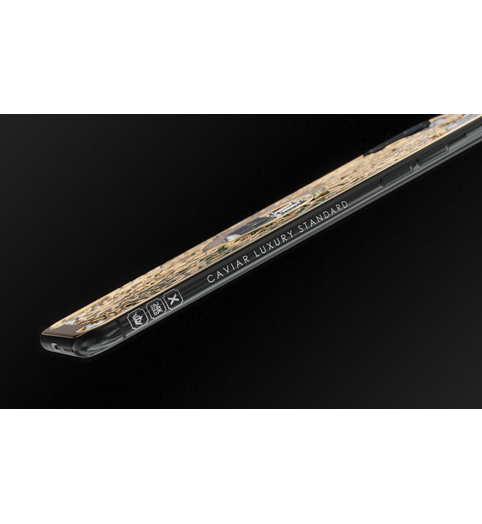 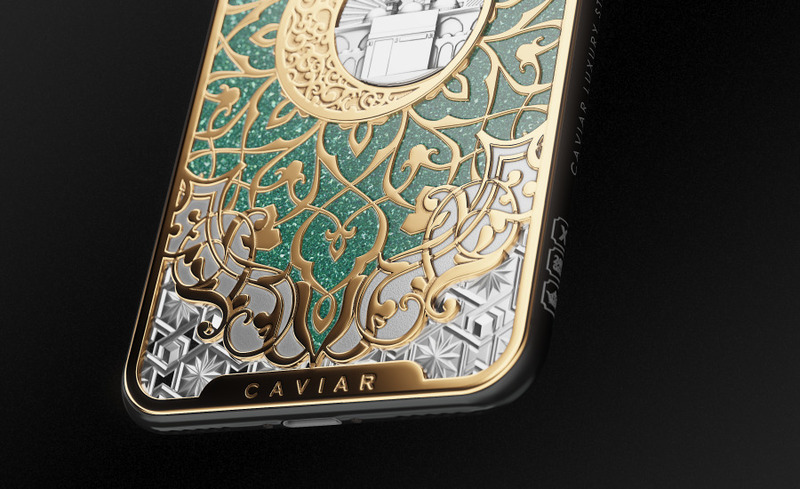 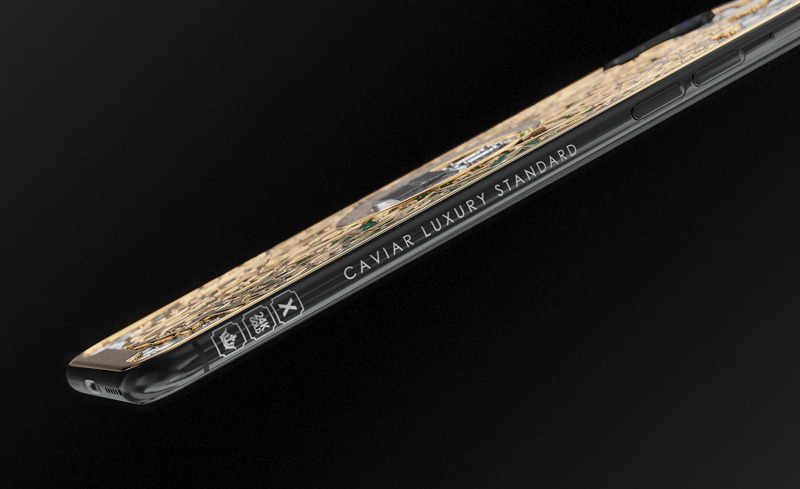 "When working on the smartphone design dedicated to the Al-Haram Mosque, the designers of Caviar have been putting all their efforts, knowledge, experience and skills to create the look of a smartphone worthy of the greatest sanctuary of Islam. 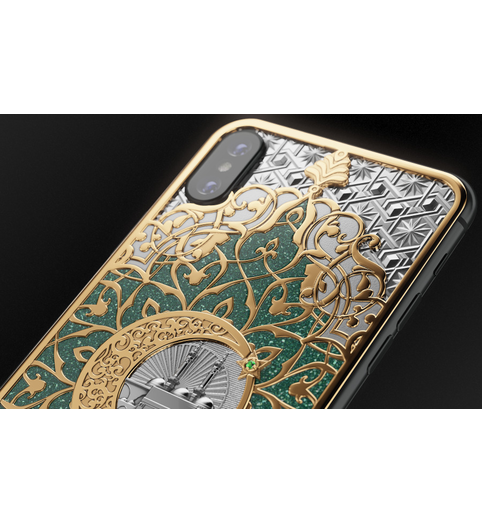 The body of iPhone X is decorated with a spectacular panel that is composed of the composite malachite of a rich green color – the traditional symbol of life in the Islamic culture, and amazing, picturesquely bound patterns covered with white and yellow gold. 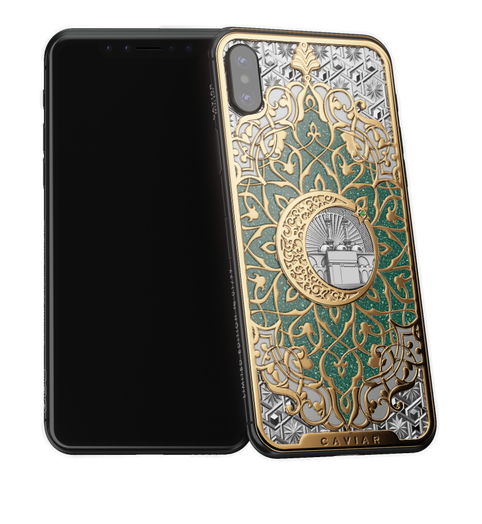 The central place on the body is taken by the fine miniature replicating the ensemble of the Al-Haram Mosque and the holy Kaaba. 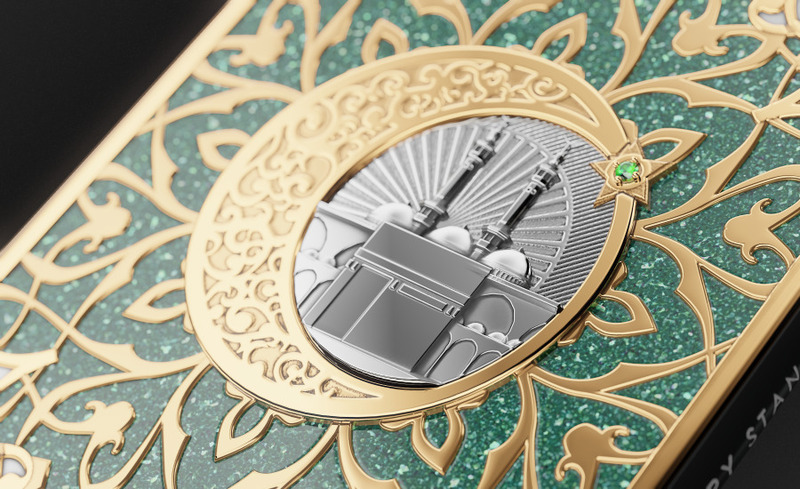 The designers have put the mosque’s architecture into a circle decorated with a gold half-moon and an emerald star. 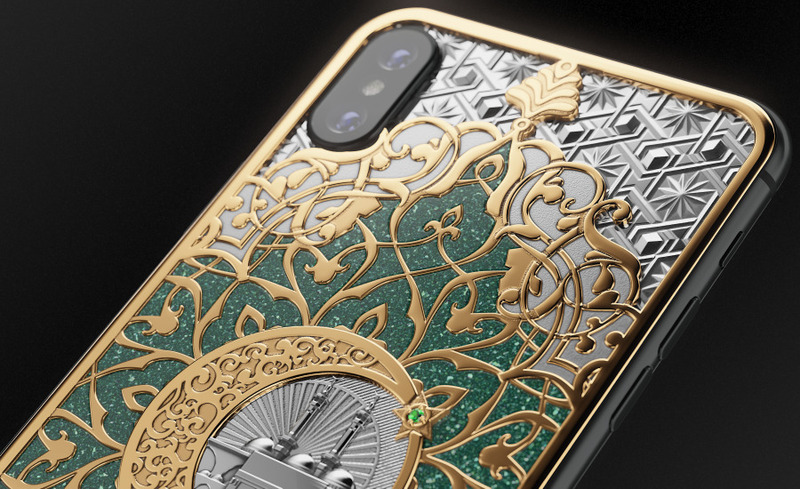 This design is a real treasure, an impressive example of how the modern technologies are being connected with eternal, inviolable values.